There’s nothing easy about not being home for Christmas, especially when you come from a family who makes it last an entire week. But this year (to my family’s dismay), I made the sacrifice and told my coworker she could go home and that I would stay here. It hasn’t been easy and quite honestly, makes today feel like any other day, but I get to go home in a few days and Christmas will happen then. It’s good to hear my family is saving some of my favorites for then: Apple Crisp, Spicy Flowerettes, A White Christmas, and more cookie baking! But despite it feeling like another day around here, I’m doing my best to still make it special and enjoy myself. 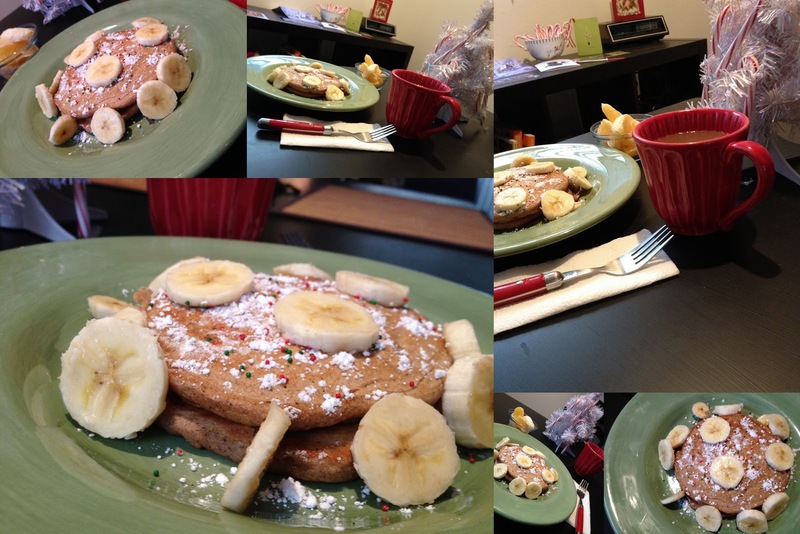 I started my day by making a delicious Christmas breakfast: gingerbread pancakes, an orange, and lots of coffee with warm eggnog. There’s plans for a walk, laundry, and beginning to pack for my trip home this afternoon. Yesterday, I found myself debating two kinds of pancakes for today: gingerbread or chocolate peppermint. It was a tough decision but I ended up deciding to go with gingerbread and it was a good decision – so delicious and so easy! I mixed them all together and let the batter sit for 5-10 minutes and then cooked them on the stove to perfection. 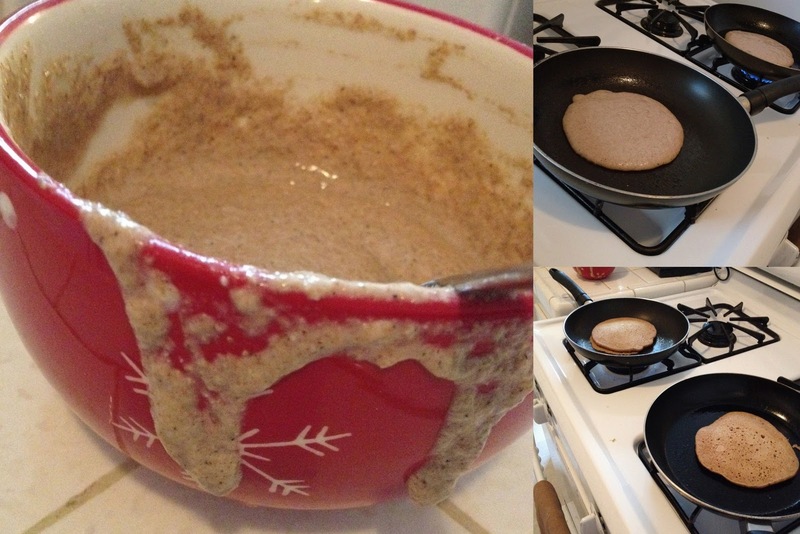 This made 4 pancakes about 6” each. I had a short stack for breakfast and the second short stack is awaiting lunch time. I would highly recommend making these. They couldn’t be easier or more delicious.